AVOKE LAUNCHED IN A MATTER OF MONTHS! 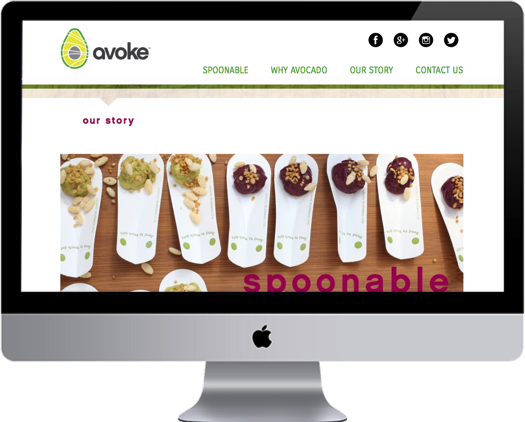 Solutiontopia was hired in the summer of 2015 to turn an idea of an avocado based smoothie around into a snack. 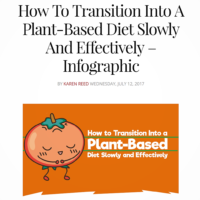 Solutiontopia began with R&D around the product category and worked to reformulate this product with the high standards around a clean vegan label. 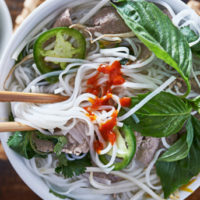 Tapping into industry knowledge and trends, and target nutritionals, four SKU’s were selected: Ginger Greens, Mint Berry, Spicy Carrot, and Coconut Curry. As an HPP product, testing was conducted and within the first month the product was ready for the next step and a new category was created, the first packaged Smoothie Bowl. Solutiontopia conducted a targeted focus group around the brands core demographic and received valuable feedback that helped direct the second phase of this project. Solutiontopia’s founder Daniel Karsevar lead product packaging development and contacted EcoTensil to assist with the needed eco-friendly spoon that was a must for a true grab-n-go snack. Daniel designed a unique cup in the form of half an avocado with the pit designed to hold a toasted quinoa crunchy topping, knowing that this unique package would be eye catching as well as help communicate the product directly to consumers. This cup is now patent pending and has received great praise amongst industry insiders. With a clear brand direction, formulation and prototype packaging, Solutiontopia was able to get Avoke, on a wait list for entrance to the sold out Natural Products Expo East. The week prior to the event Avoke was informed that it had secured a table at Harvest Festival the opening of Expo East. Only having a few days preparation, Solutiontopia launched Avoke’s website, created tradeshow marketing materials and signage and produced the product in time for the mid-September event. 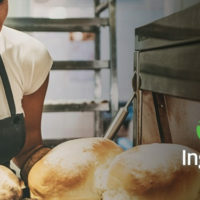 Avoke not only secured a deal with Publix and garnered interest from Kroger and Wegmans, but also was nominated for the prestigious NEXTY Award. 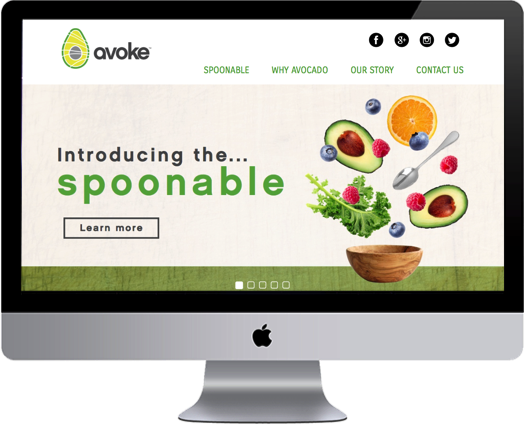 Due to the popularity of the final packaged Avoke spoonable snack, Solutiontopia interviewed and selected a top national co-packer and brokered the agreement to success. 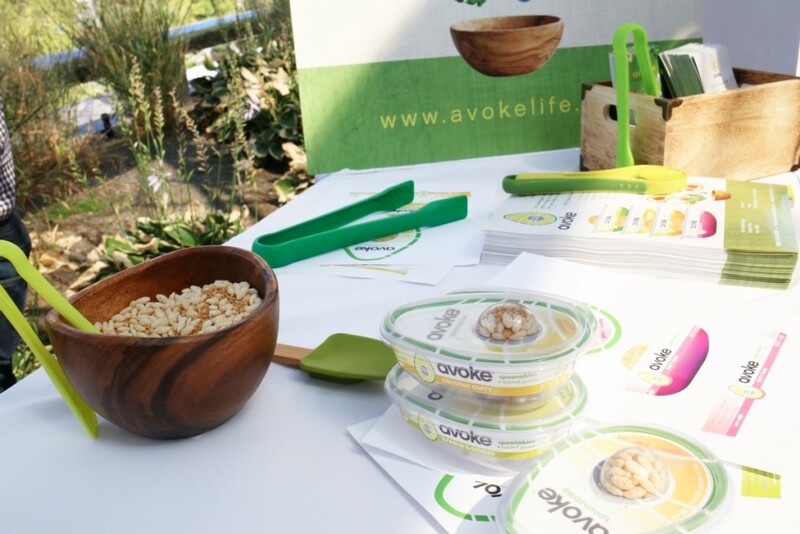 Avoke is due to launch into retail in Q1 2016.